Revenge is based in the Hamptons and focuses on a girl named Emily Thorne. I'd say she is in her late 20's and she wants revenge on the people that put her innocent Dad into jail back when she was a little girl. These people live in the Hamptons and, with no family left, she moves herself there to plot against the people who plotted against her father - leaving him dead in Jail and her locked up in Juvy for her entire childhood. I love the fact that from the first episode she is plotting against these people in ways that you would not expect - it is really cleverly done and I really enjoyed the first episode. I thought I might be a little scared by it (considering I was actually really scared of PLL!!!) but it is actually absolutely fine. I just find myself wanting to watch it alot more than Dan does, but we have decided to watch it together so I will just have to wait. We are only about 6/7 episodes in so far but I can tell that this is going to become a regular thing for us to be watching. I already want to keep watching so I can put together the pieces of what happened in the first episode. Although there are a lot of plot twists and changes this is something easy to watch and the perfect way to unwind and relax after a day at work. Especially as the weather changes and becomes colder and colder, I know that this is going to be a series which we watch quite regularly and I am totally OK with that. I'm so pleased I gave it a chance because it is something I may not usually have chosen to watch but I have surprised myself by absolutely loving it! Have you seen Revenge? What did you think of it? 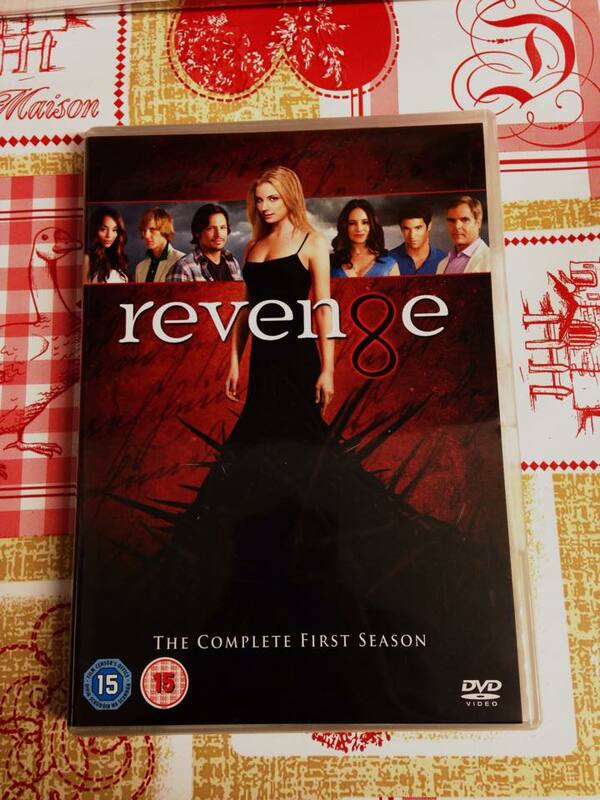 I was absolutely obsessed with Revenge over the summer! I got through Seasons 1-3 in about a month and am still waiting to see season 4! I had no idea young Jenna was in it - I need to look it up!